Gov. 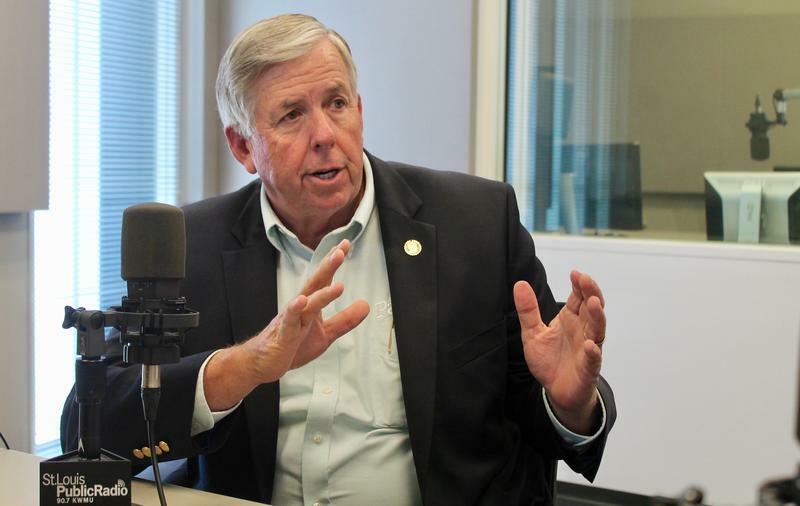 Mike Parson is now detailing the reasons why he made several line-item vetoes to Missouri’s fiscal year 2019 state budget, which took effect this month. The state constitution requires that vetoes of bills or budget line items be accompanied by a letter alerting the Legislature of each veto, and why it was made. While Parson issued explanations for the two standard bills and one resolution he vetoed, he initially did not for the budget cuts. Just over a year away from what could be a crucial 2018 election, Missouri candidates are grappling with the new restrictions to campaign donations mandated by the voter-approved measure known as Amendment 2. 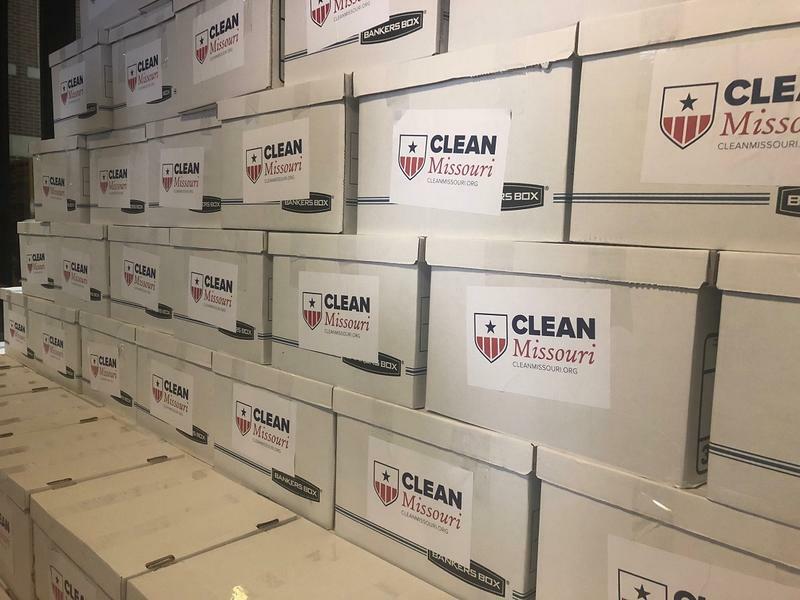 Close to 70 percent of Missouri voters approved the constitutional amendment in 2016, putting an end to the state’s 10-year status as one of only a handful of states without donation limits. But flaws in the new system are prompting the General Assembly and political activists to seek more changes. On the latest edition of the Politically Speaking podcast, St. Louis Public Radio’s Jason Rosenbaum and Jo Mannies welcome state Rep. Justin Alferman back to the program. The Hermann Republican represents Missouri's the 61st House District, which takes in portions of Gasconade, Franklin and Osage counties. Alferman is vice chairman of the powerful House Budget Committee, which is in charge of shaping the state’s spending priorities every year. 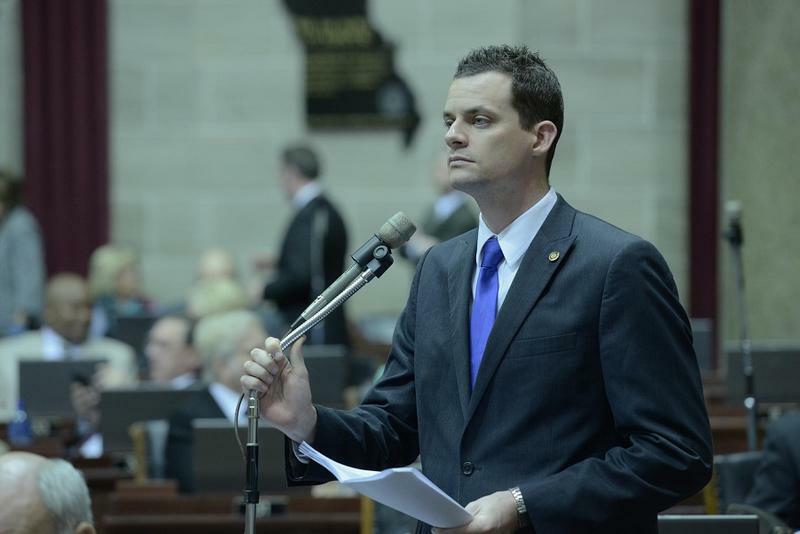 Rob Schaaf rose Monday to speak on the Missouri Senate floor, capping what seemed to be a tough few days. One of his fellow GOP senators had highlighted how the 60-year-old from St. Joseph rented a room from a well-known lobbyist. And the nonprofit linked to Gov. Eric Greitens was making personal attacks on Schaaf’s political decision integrity — and giving out his cellphone number. But Schaaf made it abundantly clear he wasn’t slinking away, issuing a blunt message to the Republican governor. 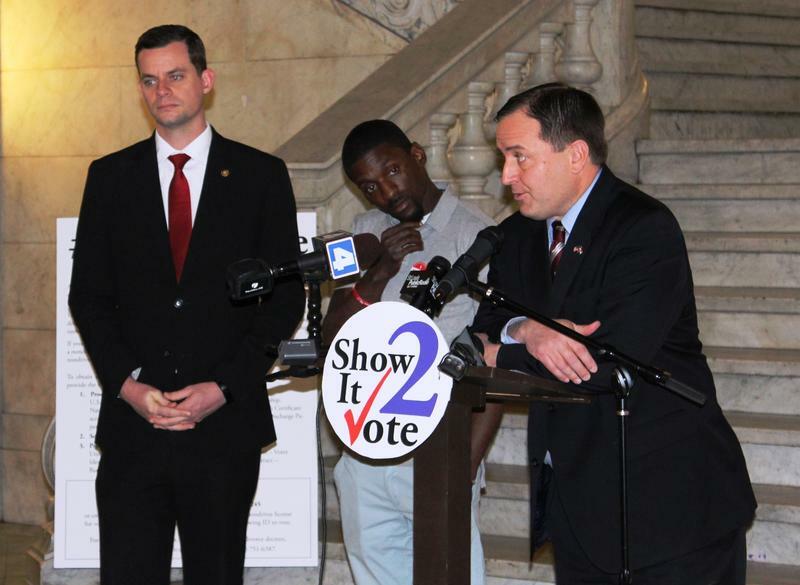 Missouri Secretary of State Jay Ashcroft kicked off a media campaign in the marbled rotunda of St. Louis City Hall on Monday to inform the public about Missouri's new voter ID law, which takes effect June 1. The law that voters gave legislators the constitutional authority to enact in November will require any voter who can’t show a valid photo ID to either provide supplemental documents and their signature or cast a provisional ballot. The first election to be affected takes place Aug. 8. 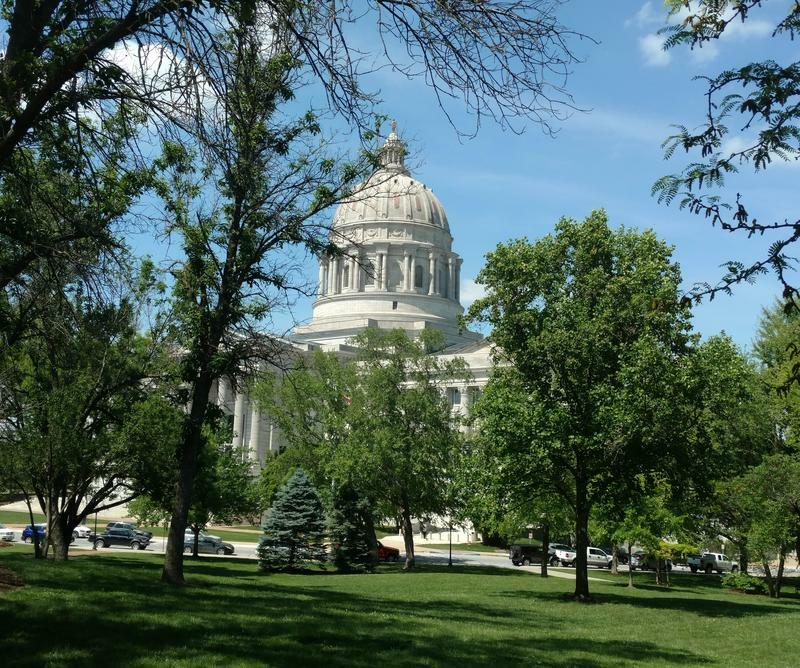 The Missouri House has moved fast on the latest effort to ban gifts from lobbyists, and it could send the proposal to the Senate this week. House members gave first-round approval Thursday to this year's bill, which would ban gifts from lobbyists to elected officials, with a few exceptions such as flower arrangements and speaking fees. It's sponsored again by Rep. Justin Alferman, R-Hermann. Missouri Republicans have spent roughly a decade trying to implement a requirement that voters show government-issued photo identification before they can cast a ballot. After numerous starts and stops, the GOP is one public vote away from achieving a long-standing public policy goal. 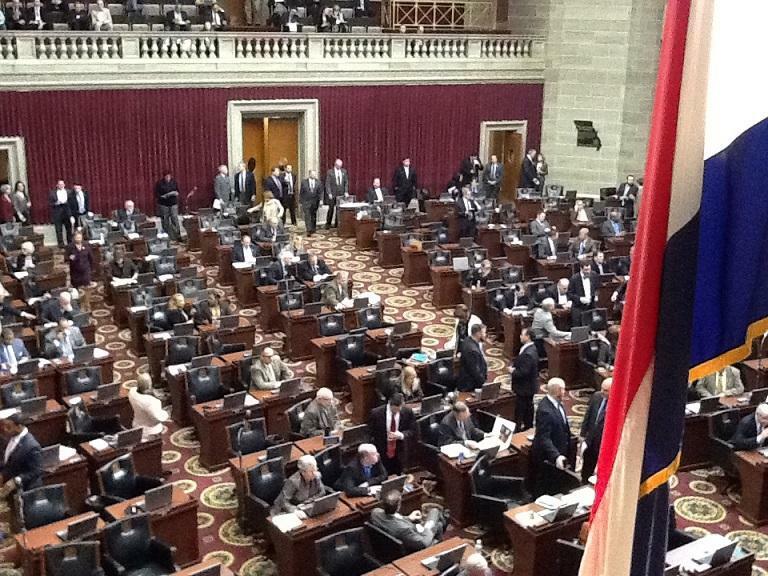 Amendment 6 would authorize Missouri lawmakers to pass a photo ID statute. The constitutional change is needed because the Missouri Supreme Court years earlier had tossed out photo-ID mandates, saying they violated the state constitution. 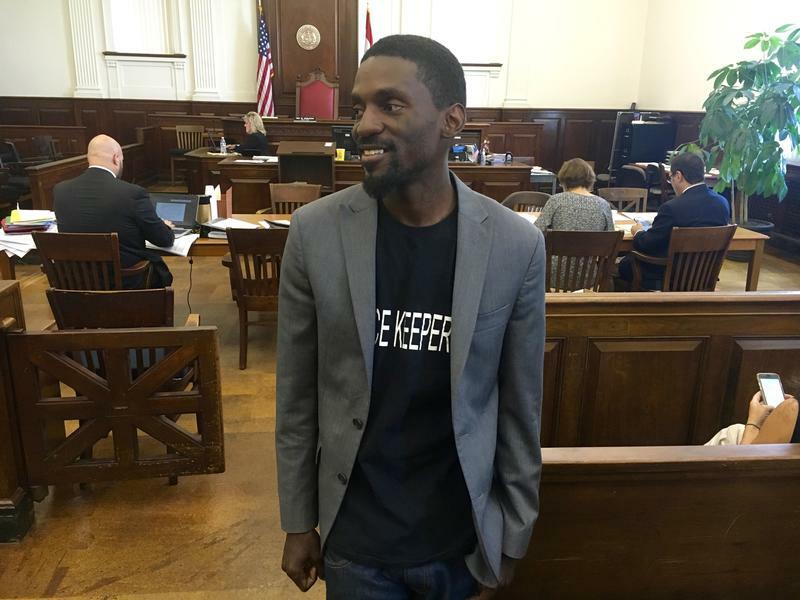 It didn't take a particularly long time before the legal showdown between Bruce Franks and Penny Hubbard became a rationale for a photo identification requirement. The disputed 78th District House race became part of the discourse to override a gubernatorial veto of photo ID legislation -- especially after the publication of a St. Louis Post-Dispatch article detailing potential absentee ballot irregularities. 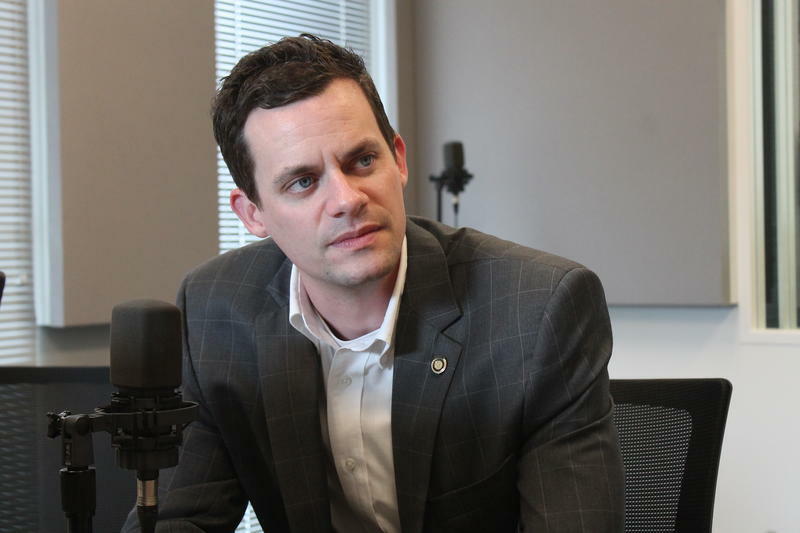 On the latest edition of the Politically Speaking podcast, St. Louis Public Radio’s Jason Rosenbaum and Jo Mannies are pleased to welcome state Rep. Justin Alferman to the show for the first time. 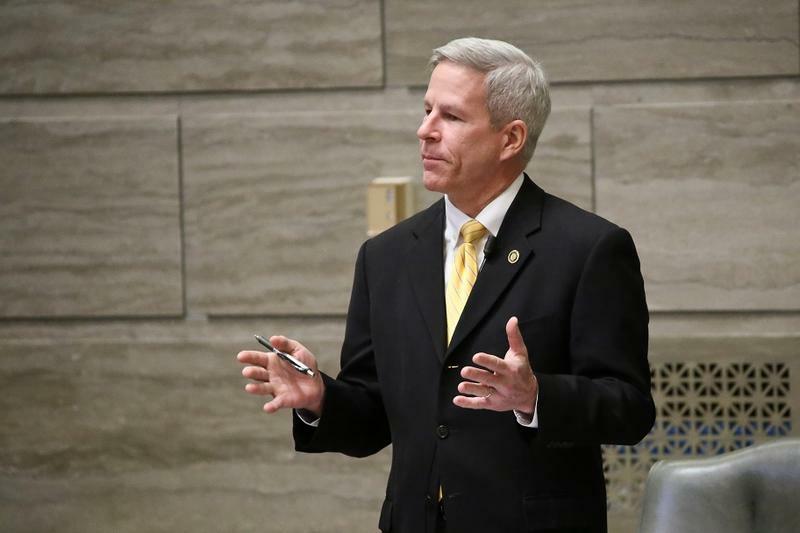 The Hermann Republican is serving his first term in the Missouri House. His heavily-GOP seat includes parts of Franklin, Gasconade and Osage counties, and it takes in most of Washington, Mo.